Owned and operated by Emerson Climate Technologies, this brand continually leads worldwide sales for industrial refrigeration and HVAC compressors. Many of these products are heavy, so please get in touch to schedule shipping options. With 80 million units tested, manufactured, and installed in 120 countries, Copeland is truly the genuine name in the field. 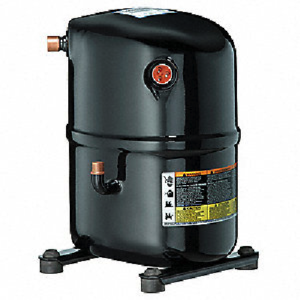 Scroll compressors have been successfully utilized in the air-conditioning industry, and the future of refrigeration belongs to the scroll compressor. Along with Emerson’s unmatched design and testing, you’ll get peace of mind knowing every Certified Copeland compressor meets up-to-date factory specs for top reliability and industrial performance. 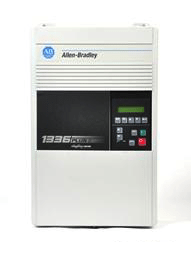 They test their products vigorously in order to offer a fully guaranteed warranty on every unit. We appreciate the opportunity to serve you in this industrial part search. Please check ship weight and destination before ordering, as certain zones may carry higher rates for delivery. 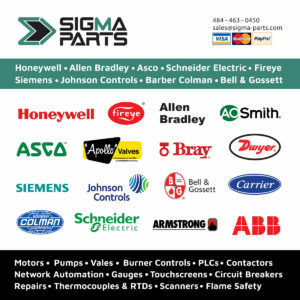 Scroll, Semi-Hermetic, Reciprocating and Single Screw compressor versions available at Sigma Parts. 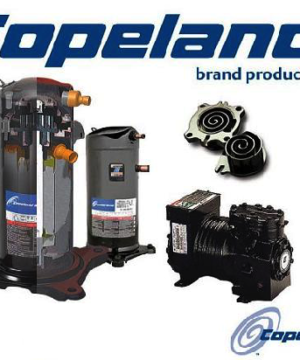 Please contact us today for a price quote, lead time, or shipping cost on Copeland Compressors.